Eye: A bronzish, yellow color. No other tasting review available. 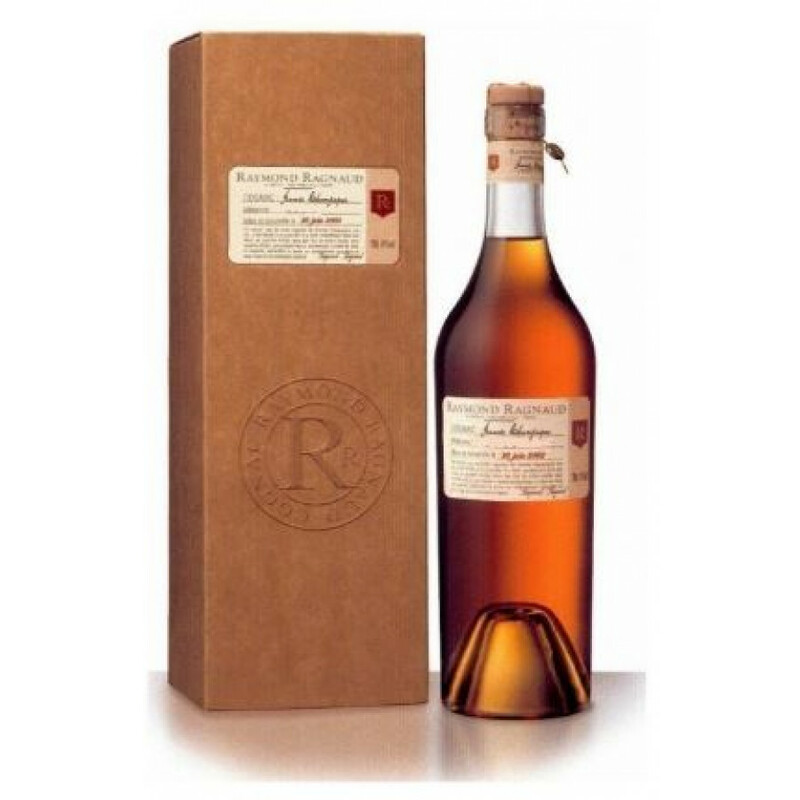 A family brand in the Premier Cru of the Cognac region present a stunning Millésime Cognac - the Raymond Ragnaud Vintage 1997. Harvested in 1996, it was distilled and bottled in 1997 exclusively using grapes from the Grande Champagne region. The Grande Champagne cru is highly regarded for a number of reasons - many of which date back millions of years. During the Jurassic period, the region formed part of the Aquitaine basin and millions of sedimentary fragments from marine fossils were deposited there. Laid down over 200 million years, the layers of shallow sea created an optimal chalky soil and limestone subsoil. These conditions provide the perfect environment for grapes to grow and produce fine eaux-de-vie, and a series of wonderful vintage Cognacs such as the Ragnaud 1997 Vintage Cognac. It is bottled at 41% ABV and arrives in a 70cl bottle, and in a stunning wooden presentation box. Savor this Vintage Cognac neat and be transported back to the year of a wonderful harvest. Generations of savoir faire date back to the 1860s when the Ragnaud family owned a small vineyard in the Premier Cru. While it wasn’t yet classified as an official Grande Champagne producer, their eaux-de-vie were so fine that it ended up being so by many professionals later on. The Cognac house’s vineyard consisted of Ugni Blanc and Folle Blanche varieties, which were in fact resistant to the phylloxera bug that devastated many areas of the Cognac region at the time. Eye: Deep, golden coppery color. Nose: Cigars, chocolate, ginger and aromas from the forest undergrowth. Palate: A long finish, with a freshness that evokes notes of violet, guava, and menthol.